We finished the second and final season of Joan of Arcadia yesterday. For those of you counting at home, that means we whipped through the 23 Season 1 episodes and 22 Season 2 episodes in exactly 22 days. One of the things I like about the series is that it avoids the typical pitfalls associated with dramas that explore faith and humanity. Within the show, as in real life, faith leads to questions, doubts and realizations, but never easy answers. It’s never us vs. them, as much as we sometimes wish it so. It’s us vs. us. 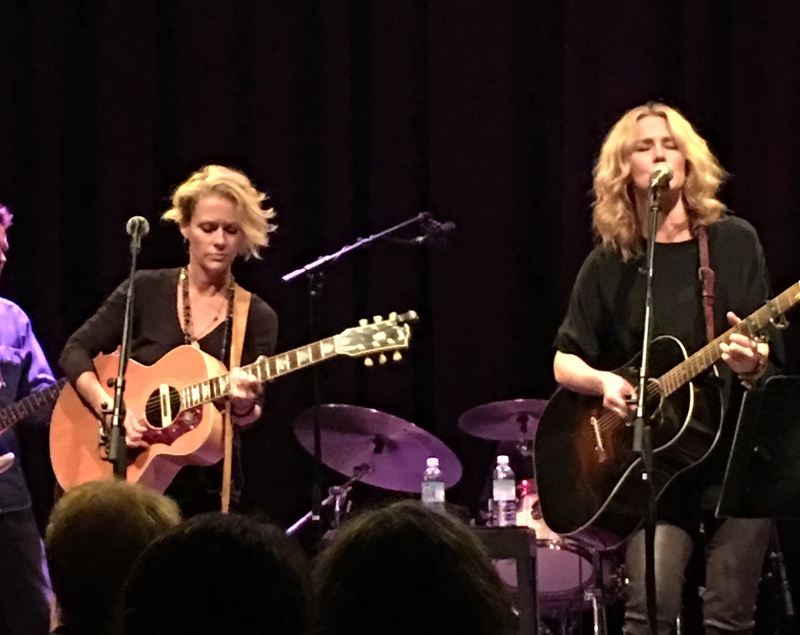 Thursday night, Diane and I journeyed to the Sellersville Theater in Sellersville, Pa., to see the country-flavored singer-songwriter sisters Shelby Lynne and Allison Moorer. 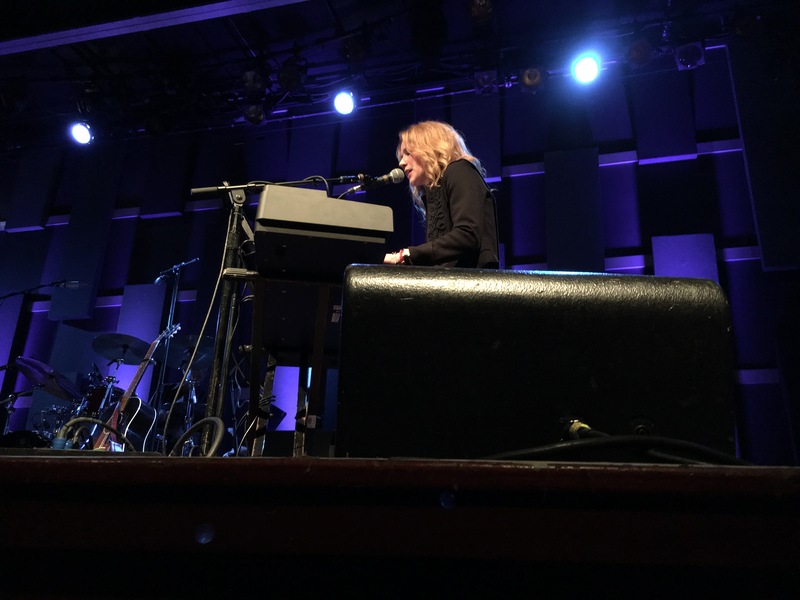 As expected, the set was almost the same as when we saw the two last August at the World Cafe Live in Philadelphia, given that the tour is in support of their note-perfect covers album Not Dark Yet. And, as expected, this show was as magical as that one. The lone change of substance consisted of them swapping their cover of Nirvana’s “Lithium” for Shelby’s “Miss You Sissy” (from her I Am Shelby Lynne album). One performance that crawled into my subconscious this night was “Is It Too Much,” the lone original from Not Dark Yet. It’s a stark, powerful piece about the heavy emotional weight they’ve carried since their teen years, yet the lyrics are applicable to all who’ve weathered tough times. The mark of much, though certainly not all, great art is that it’s simultaneously personal and universal, restrictive yet expansive. Live, it was even more stirring and spellbinding than on album. And, with that, here’s today’s Top 5: Personal & Universal. 1) Courtney Marie Andrews – “The Kindness of Strangers.” I shared this song from Courtney’s forthcoming May Your Kindness Remain album a few weeks back, but not this video, which she released on Thursday. She talks about it, and other things (including once crashing on Chris Pratt’s couch), in this GQ UK article. 2) H.C. McEntire – “A Lamb, A Dove.” The lyric video for the lead track from McEntire’s solo debut, Lionheart, is little more than a time-lapse of a sunrise. But it’s as amazing and addictive as the song and album. 4) Sarah Louise – “The Field That Touches My House and Yours.” Sarah Louise, who’s half of House and Land, has a new album titled Deeper Woods due out on May 11th. Back in my old folkie days, I’d have played it alongside the hand-me-down songs of yore, and listeners would likely have thought it was a lost treasure. It has that kind of vibe. Shelby Lynne and Allison Moorer’s new album, Not Dark Yet, is a sublime set that finds the sisters adding a wondrous luster to borrowed gems penned by the likes of Bob Dylan, Townes Van Zandt and Merle Haggard, among others. In a way, it’s the sonic equivalent of jewelry row in Philadelphia – or, to change metaphors, an exhibit at the Museum of Art. Each painting reflects and transcends the reality that birthed them. 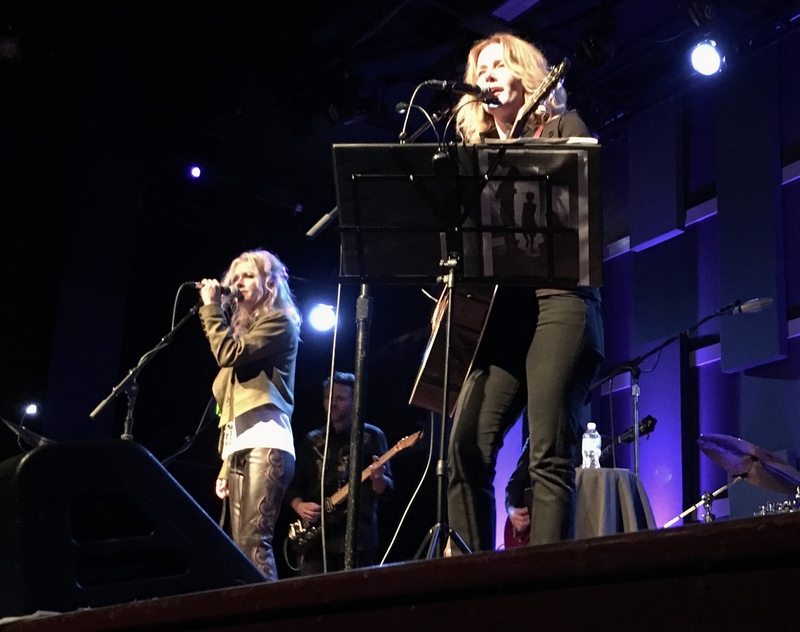 But when the Moorer sisters performed the same 10 songs last night at the World Cafe Live in West Philly, it was as if those paintings morphed into a spellbinding motion picture filled with shadows and light. …well, what can be said? The magic they created was astounding. In a similar vein, when they weaved their voices in and out, and traded lead vocals, such as on Dylan’s “Not Dark Yet,” the stark beauty of the confessional (“Sometimes my burden is more than I can bear/It’s not dark yet, but it’s getting there”) stunned the audience into silence. On album, as the clip above shows, it’s hypnotic. But live? It’s an epiphany. I’m kicking myself now for not recording it. I’d say the same for their entire 80-minute (give or take) show. It was a mesmerizing night filled with shadows and light, darkness and hope, the chosen songs shedding insights into life itself, though those insights are damned difficult to put into words. One of the things I most enjoyed: their obvious affection for one another – and the music. At one point, Allison stepped close to her sister and seemed to encourage her to take the next verse; Shelby mouthed “you sure?” – and then did so with relish. And Shelby, when waiting to chime in on the chorus or take the next vocal, looked like a supernova in the midst of a musical galaxy, burning brighter with each chord. It was cool to witness. One more thought: Obvious from the featured clips is that none of them are mine. We had front-row seats, which gave us a great view of Allison – especially when she sat at the keyboards in front of us – but a somewhat distant view of Shelby. Rather than swing my iPhone back and forth (and give myself whiplash in the process), I took a few pictures and left it at that.